Oliver, a litigator for the R. Rex Parris Law Firm in Lancaster, had filed a lawsuit on behalf of a group of Kern County farmers against the governor and several oil companies, alleging that they had colluded to dispose of wastewater without obeying the state’s permitting process, placing local groundwater sources at risk. The complaint also alleges that Brown caused the Division of Oil, Gas & Geothermal Resources to divert scarce resources from dealing with the potential contamination of the state’s aquifers in the midst of an historic drought. 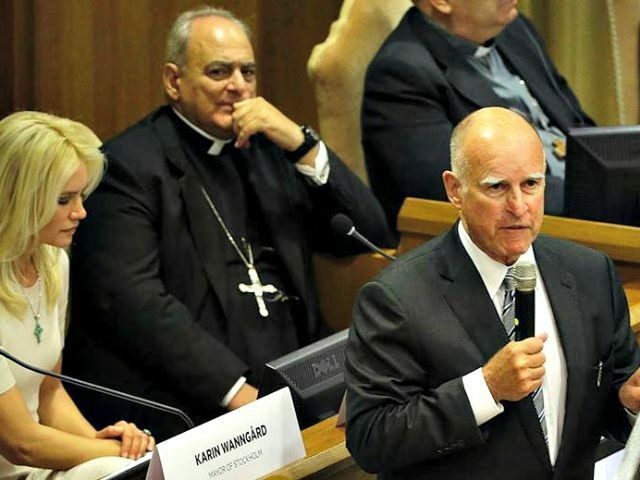 The Associated Press used the information in the complaint to file open records requests that confirmed Brown used state experts to produce a 51-page study of his own property. The study reportedly found “very low” oil potential. State officials said Brown had done nothing wrong, although it is illegal to divert state resources for personal use. Oliver told Breitbart News that she had no political agenda. She was simply representing her clients. “We are talking about our water that they contaminated with salts that kill the crops,” she said. “I think the governor should say, look, mistakes are made, and I’m going to make sure we start fixing them. Just confess,” she said. Brown has been a nationwide leader in the fight against climate change, even traveling to the Vatican to deliver an address on the topic. He has challenged Republican presidential candidates to address the issue, and has said that if he were running, it would be one of his top priorities. However, environmental groups have long accused Brown of hypocrisy for defending hydraulic fracturing (“fracking”) in California, and have suspected conflicts of interest.